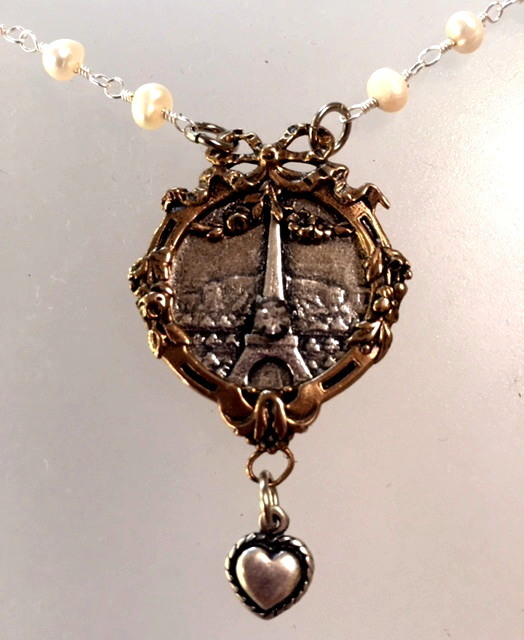 A strand consisting of Genuine White Freshwater Pearls upon which is draped a Bronze and Sterling Silver plate French antique Floral Locket with a Eiffel Tower Charm. The Bow and Rose Swag are Tres Francais!!! The pieces were cast from the original French pieces over a century old, this lovely reproduction is hand crafted. There is a petite Heart charm suspended from the locket, can be a Fleur de Lis if desired, please inquire. 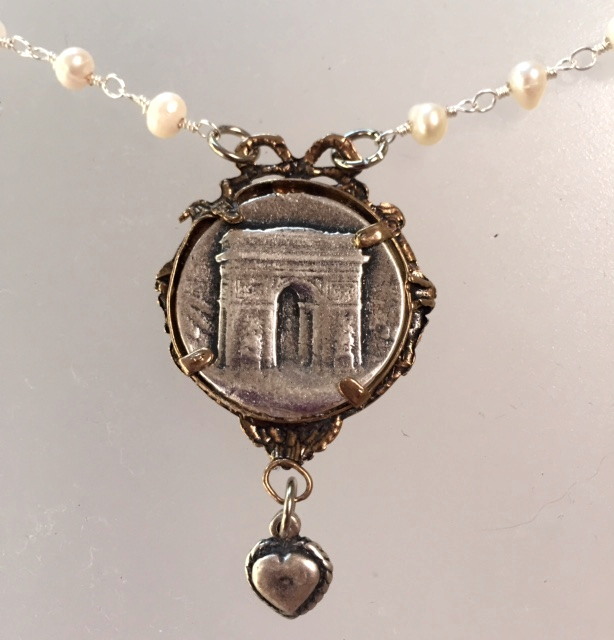 The reverse of the charm has the Arc de Triomphe. 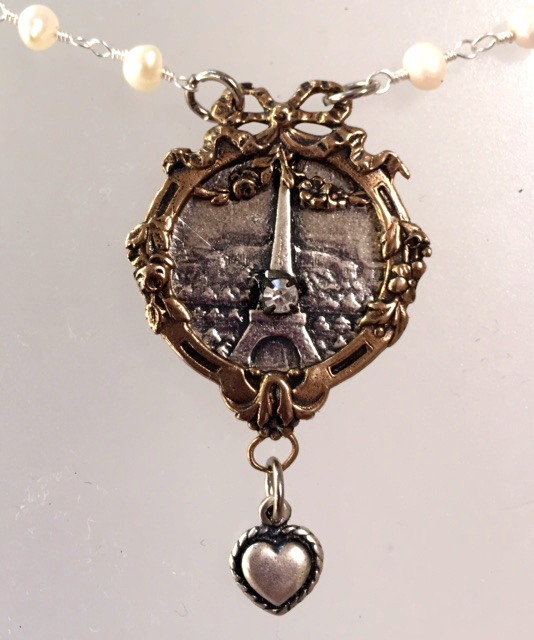 Pearls are 18”L, the Locket Charm is 1 1/8" in diameter.